Consumer Reports indicates that programmable thermostats can trim about $180 a year from your energy bill (which is a sizeable chunk of change) by automatically reducing your heating or cooling when you need it least. Along with straightforward management software, WiFi enabled thermostats also quickly ‘learn’ your energy usage habits and adapt accordingly! In addition to the cost savings to your electric bill of a WiFi enabled thermostat, Tri-State Heating & Cooling provides added value with our installation. You could purchase a consumer grade thermostat at a local ‘big box’ hardware store but these consumer grade units are NOT the same as the units Tri-State installs. Consumer grade units are troublesome to set up yourself and do not do as much as a professional (commercial) grade unit that Tri-State installs. Let me tell you a story: An installation team had finished installing a heating system and was sharing the benefits and savings of a WiFi enabled thermostat. The homeowner decided to purchase a WiFi enabled unit themselves and have a family member install it. The ‘do it yourself-er’ did not fully understand the installation process, and mis-wired the unit. Not only were they unsuccessful in getting the WiFi enabled unit to perform; but the mis-wiring caused the heating system to burn out costing a considerable amount. The small savings not only was NOT recouped; but the heating system needed significant repairs costing $$ that would not have been necessary if they had made the decision to have Tri-States certified technicians proceed with the original installation and set-up. The Honeywell Prestige Redlink has numerous features that can take all of the hassle out of managing your home’s temperature. You go about your daily business and let the climate in your house take care of itself. All you have to know is that it will be comfortable whenever you’re there. ….even the ability to customize color settings to match your décor! The RedLink can monitor other things in your home through the Web Portal. Anything you can put a sensor on – can be monitored! 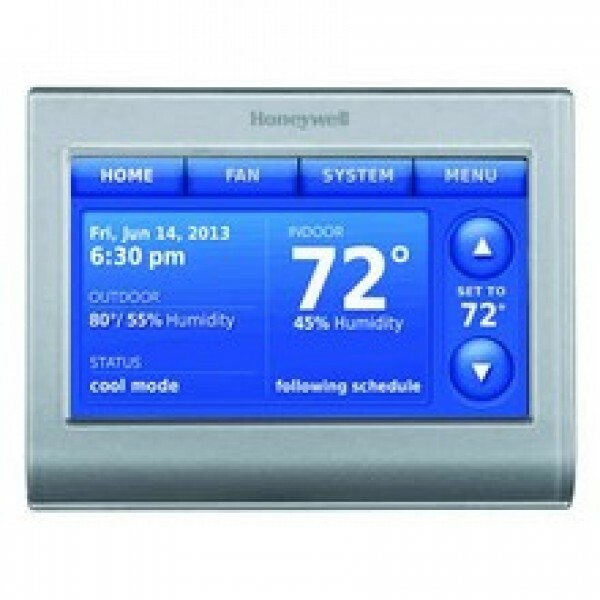 The Honeywell Vision Pro is a simpler version of WiFi enabled thermostat with remote access to its thermostat through your phone, tablet or computer. It controls temperature and indoor air quality from one control with its easy-to-follow menu driven programming and smart change/check reminders on air filters UV bulbs and humidifier pads. Give Tri-State a call for pricing and installation at 513-829-4333. Your whole family will be glad you did!